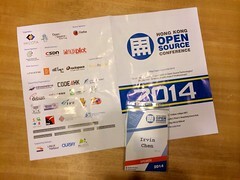 Hong Kong Open Source Conference aka HKOSC, is an annual conference in Hong Kong for open source community. 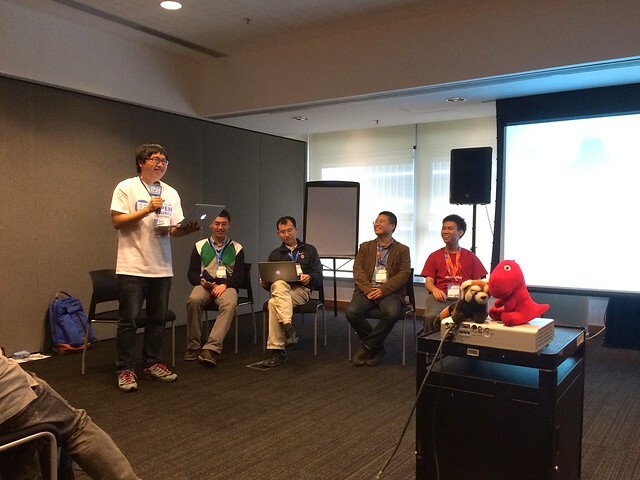 In 2014/3/29, we took this good chance to gather Mozillians (Reps) from Hong Kong, Taiwan and China together in here, helping a forum session, a booth and also have a meeting discussing various topic about building Mozilla community in Chinese region. Here is the first part of my brief report about what we'd done and what have we discussed. 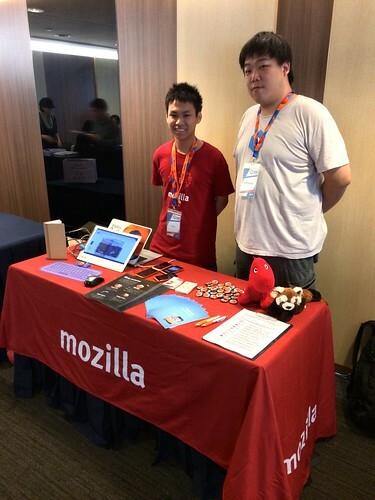 We host a Mozilla booth in the conference, displaying some flyers, Firefox OS devices (APC Paper, Keon & ZTE phones), plushies, give out Firefox badges and a recruiting form for interesting people to leave their contact messages. 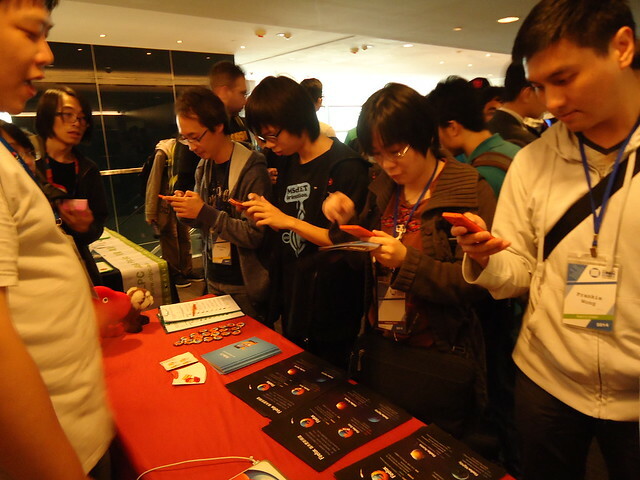 There are about 250 people join the conference, and most of them had been visit our booth and try the Firefox OS devices. There are 16 people from China and Hong Kong filled the contribute forms, I hope that we'll have them success on-boarding and start contributing. There is 2 session related to Mozilla on HKOSC, "David and Goliah: from Firefox browser to Firefox OS" by Taiwan paid-staff Michael Hung and forum "Mozilla communities in Chinese-speaking regions" by all participated reps. The forum is hosting by Richard Lin*. 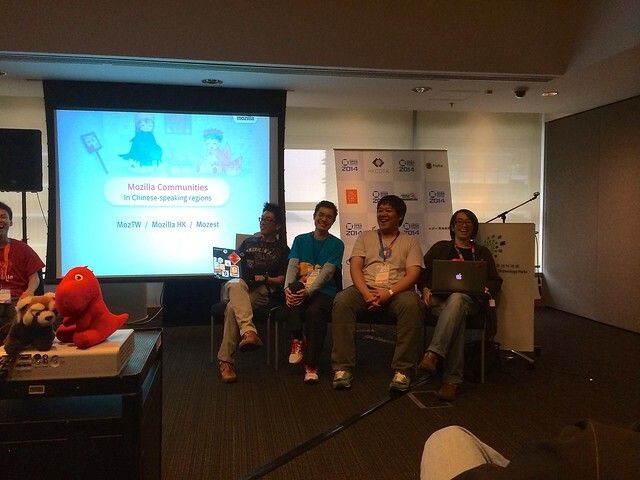 we had featuring Mozilla Story, give a brief intro of Mozilla, each 3 region communities, their own events, how we cooperation across the region and with the local MoCos in Taiwan and in China, and introducing on the opportunity of contribute Mozilla. * Richard Lin, long time Taiwan OSS contributors and specialist in OSS legal issue.